Poetry book by Dutch poet Karel ten Haaf, published in an impression of 21 signed copies (of which 13 are hors commerce). 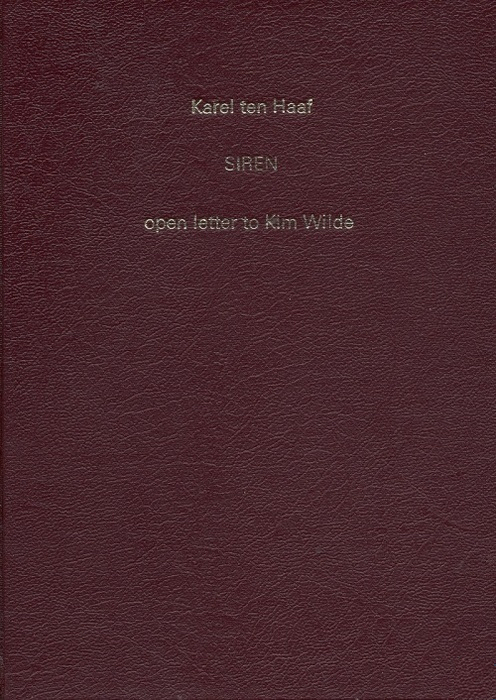 The book contains a poem dedicated to Kim Wilde. On the first page, parts of Kim's song How do you want my love are quoted.